Some time later production was moved to Florida and the boat was renamed DAWSON 25 of which at least another 100 were built. 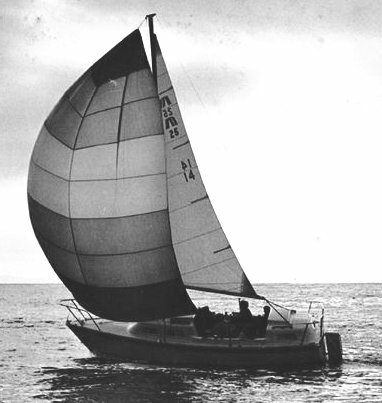 Since then the tooling changed ownership a number of times and boats have been sold under a number of other names including the PARKER-DAWSON 26, NAUSET 26, BOMBAY 26. 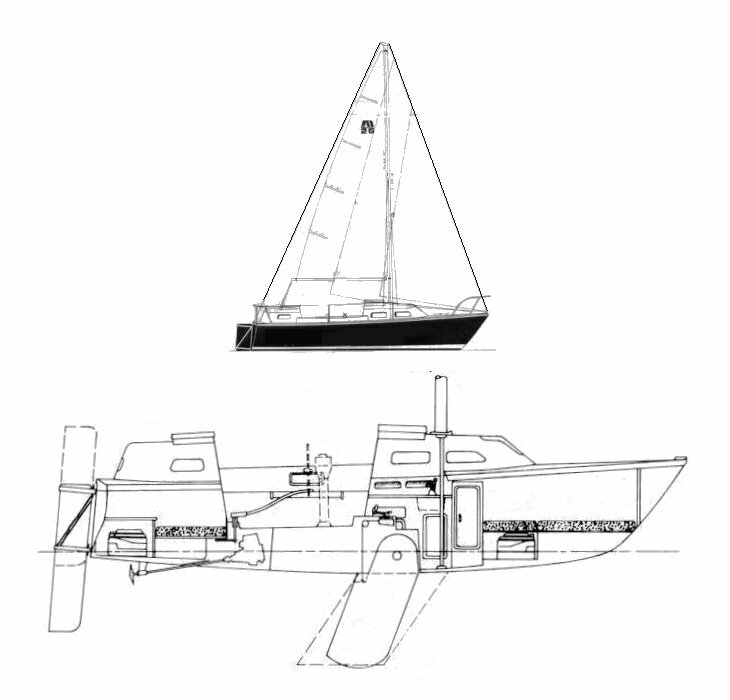 It is doubtful that any new boats have been built since the mid 1980's. A fixed keel version was also available. (draft=5.0'). Wheel steering, a ketch rig, and various auxilary inboard engines were offered as options.